Several months ago, I performed at a wedding in Melbourne, where the father of the חתן was Rabbi Chaim Rapoport. I originally met Rabbi Rapoport when he was a member of the Chabad Kollel. Subsequently, I have read a number of articles authored by him in a well-known learned blog. One is immediately impressed by both the quality of his writing and the material he presents. Rabbi Rapoport is clearly a scholar and has tackled difficult issues, such as Homosexuality with both erudition and compassion. He is also an accomplished “defender” of Chabad having written a book in response to Rabbi Berger’s critique of Chabad Meshichism, and, more recently, a series of responses to the controversial book by Samuel Heilman and Menachem Friedman. Rabbi Rapoport is also respected outside Chabad, as reflected by his status and place in Chief Rabbi Sacks’ cabinet, with responsibility for Jewish Ethics. This is a fairly unique position, as Chabad scholars tend, in my opinion, to be more respected inside Chabad and marketed to the outside world as opposed to being also respected outside Chabad with minimal Chabad marketing or “control”. Rabbi Rapoport is by no means at all comparable to Rabbi Shmuley Boteach, the latter having been effectively ostracised by Chabad over actions he took which went beyond those of even a left-leaning, card-carrying, member of Chabad. It might be said, then, that Rabbi Rapoport’s personal status and place as a Chabad Chasid with a less fettered mind, results in him not being seen as a “pure” paragon of the official party line. Equally, there are those who strongly assert that he represents authentic Chabad, unfettered by a Meshichism born out of the passing of the last Rebbe. I am convinced that Rabbi Rapoport is a very committed Chabad Chasid. What perhaps sets him apart, and worries some quarters, is that he is not a propounder of the classic Meshichist line: the last Rebbe ז’ל is Moshiach waiting to be revealed. Rather, Rabbi Rapoport contends that the LR might be the Mashiach, and if he is, he’d be happy to see him in that role. 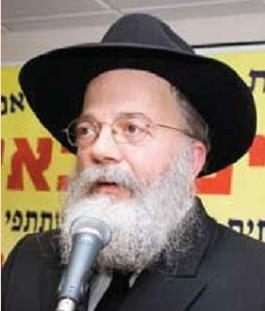 Rabbi Rapoport perhaps controversially contends that most Chabadniks are not Meshichisten and that Chabad receives bad press as a result of a lunatic fringe, a minority of whom go further than identifying Mashiach. With this background in mind, it would seem there should be no so-called control over what Rabbi Rapoport might speak about should he be invited to do so in the main Chabad Shule in Melbourne or indeed at any other official Chabad activities in Melbourne in private houses and elsewhere. My very firm advice is that this was not the case. Rabbi Rapoport was fettered. He was advised in clear language not to speak about certain controversial (read Mashiach) topics. Remarkably, a person of this stature didn’t feature prominently in the official activities of Melbourne Chabad despite him spending a week of Sheva Brachos in Melbourne. Why was this the case? Is the main Chabad Shule and leadership at ease with a sign at the back of the shule stating the LR is Mashiach but uncomfortable with a Chabadnik who may well argue that the LR might be Mashiach? Fast forward. Another prominent Chabadnik, Rabbi Sholom Dov Ber Wolpe was in Melbourne last Shabbos. Rabbi Wolpe is a big Talmid Chacham but known for his very extreme Meshichist ideology and his uncompromising attitude to the return of any territories beyond the Green Line. There are many Chabad institutions who are wary of allowing him to occupy a pulpit because of the unpredictability of what he will say. In point of fact, Rabbi Wolpe roused the anger of the LR himself when he published a Meshichist treatise against the express wishes of his Rebbe. I came across his writing, more recently, when researching the question of Indian Sheytels (wigs) for women, and whether they ought to be considered Avoda Zara (benefitting from Idol worship). I was struck by two things when I read Rabbi Wolpe’s response to this question. I came away with the view that point number 1, was his starting point, and point number 2, was the halachic-justification. I always thought that a Posek or Talmid Chacham should be involved in point number 2, first, and do so with a clear and uncluttered mind. Rabbi Wolpe is a founder of SOS Israel. He published a radical responsa saying that it was forbidden for Israelis to study from text books which did not extend Israel beyond the green line! Rabbi Wolpe has also written polemics against Rav Schach and his views. The wikipedia article is a good summary. Contrast the two speakers: Rabbi Wolpe is considered an extreme Meshichist, and nobody within Chabad or outside of Chabad would deny that. Rabbi Rapoport represents a more moderate Chabad. Rabbi Wolpe was apparently not fettered in any way. He could speak about any topic that he wished. The main Chabad shule did not issue him with any advice in this regard. Rabbi Rapoport, however, was muzzled somewhat. Does this issue show that the new leadership of Chabad in Melbourne, have deftly transformed Chabad to be more Meshichist than when Rabbi Groner ז’ל was directing policy? If Rabbi Wolpe invoked the ire of the Rebbe, and if the main Lubavitch shule of Melbourne is supporting and promoting him, then it follows that the main Lubavitch shule of Melbourne would get the same reaction from the Rebbe too. The communal ‘leaders’ who are in line with this have lost their way. Who will bring them back in line? And how? And how is this affecting the kids? One can be a talmid Chacham ( well read in Judaic literature etc.) and be far from a chacham. Rabbi Volpo had a premision from the rebbe about ALL of his moshiach’s seforim. One time, for one sefer, he got an answer to not publish yet. That was in 1985. In 1991 he got very warm premision for this book. This week, a young woman, mother fo 3 kids, killed. Is that our Teshuva? Please do not bring the tragedy of the young woman into this. It is completely irrelevant to the issue at hand, and a very sad story in of itself. It does not deserve to be on this page. This issue is not about Rabbi Wolpe or Rabbi Rapoport per se, and that is why I edited your virulently libellous comments concerning Rabbi Rapoport. Rather, it is about the title of my post, something you have chosen not to comment on. Rabbi Wolpe’s speech was quite moderate, what proof do you have that he wasn’t spoken to before and told that if he wished to speak it was on condition that he dulled it down? I know for a fact that he was told to dull it down and that he wasn’t to go too heavy onto the meshichist side of things, and he agreed to do that, as he thought it was more important to do that and be allowed to speak. Isaac I think you owe an apology to Yeshivah and to the Rabbi of the shule. Perhaps before publishing articles, especially ones that will get sent out on large mailing lists to the community, you should research your facts properly. I know you will probably sensor what I have written because it doesn’t fit the whole travesty you are artificially creating here, but you need to do a public apology for what you have written. You are simply wrong. a) I did check and I indeed provided an opportunity for Rabonim before I published. b) His speech may well have been moderate, was that his brief? What guarantee was there that he wouldn’t go off the rails as one recent speaker did? Part of the problem is that you have convinced yourself that it’s an artificial problem with your unfounded assertions. I suggest it is you who should now be apologising to me and the readers of the blog. What you write about Rabbi Rappaport is wrong, and you should know that Rabbi Telsner lived for many years in London in the same neighbourhood that RR lived it and he knows him and his views very well and decided that he should not speak here, I can personally attest to that, I heard RR give a shiur in Inyonei Geulah U’Moshiach in London and some of the things RR said was extreme especially from someone who identifies himself as a Chossid. One of the things he said was that nothing the Rebbe said can be taken literally, why? because one Shabbos when the Rebbe was farbrenging about Moshiach, He said “Moshiach will be revealed… and we will all dance straight into the Kodesh HaKodoshim…” but how can we, majority of not kohanim, and all of us Tomay, go into the Kodesh HaKodoshim? there’s more than Issur D’oraiso involved! So obviously, the Rebbe doesn’t mean it literally so therefore nothing the Rebbe says can be taken literally. RR is well known even by “anti’s” about his extreme views which are more than most “anti’s”, the biggest ant’s have argued with him saying he’s gone way too far! He also said in this shiur, during the Q&A afterwards, that the Rebbe cannot be Moshiach! he said that quite clearly! Don’t get me wrong, RR is a geneious in Halacha and I think also Medical Issues in Halacha, but he is extreme when it comes to The Rebbe and sichos, and all Inyonim of Moshiach and Geulah. I can clearly understand why Rabbi Telsner (or whoever) did not allow him to speak in Yeshiva as his words would stir massive arguments and only bad would result as did in the shiur I attended, for days afterwards there were arguments back and forth between all hanholo members and bochrim and no one agreed with what he said, all that resulted was doubts in peoples minds! 1) The accusations you throw against him about his sefer are totally wrong and absolut Motzie Shem Ra (which is much worse than Loshon Hora), you should review the details with him or someone who knows before you say what you said, As a matter of a fact the Rebbe did at first tell him not to publish his sefer because people complained to the Rebbe that it can turn off people, RW wrote back to the Rebbe “How can people be turned of from what’s written here? It’s just a explanation on the Hilchos Melochim of the Rambam? and then the Rebbe gave him the go-ahead to publish it. (I am likely missing details of this story so please verify with someone who knows, but the bottom-line is that it was published with the Rebbe’s explicit approval! 2)It is well known how many times the Rebbe spoke and screamed about Shleimus Ho’oretz, the Agmas-Nefesh the Rebbe went through (about Mihu Yehudi and even once calling on everyone to go and vote – something that was never endorsed by Chabad Lubavitch). Finally there is one person who listens to the Rebbe! one person who actually cares to do something about what the Rebbe screamed about and had so much Agmas-Nefesh about, and what is the reaction from everyone else? just curse him out, mock him, focus only on his Chesronos, why can’t we look at the good side of him and learn from his positive? That is the way the Yetzer Hora works, when someone is doing the right thing! 1. Your allegations about Rabbi Rapoport (I think you’d call it Motzi Shem Ra?) only reinforce in my mind the notion that as long as the person is anti, he hasn’t got a platform at the Yeshivah in Melbourne and you are in fact supporting heading of my post. That being said, I can only go by the written word, and I’ve read lots from Rabbi Rapoport and have found him to be a great defender of the Lubavitcher Rebbe ז’ל. 2. If the reason they didn’t allow him to speak was as you say, then it is disingenuous to claim that Rabbi Wolpe’s views would somehow be less controversial UNLESS the Shule has moved so far to the right, that Rabbi Wolpe is not considered controversial. 3. Nothing I wrote about Rabbi Wolpe is new. It is common knowledge. You need to explain why it took 6 years to convince the LR that it was “just” a pirush on Hilchos Melachim. 4. Note that I did not criticise Rabbi Wolpe’s views on territories. My comment was on his Psak that it is forbidden for Israeli school children to use a text book which doesn’t adhere to the LR’s stance on territories. Perhaps you find that a normative Psak. I’d suggest the rest of the world does not. 5. Thanks so much for the insight into the Yetzer Hora. I don’t understand why you describe meshichism as to the “right”, and opposition or skepticism about it as to the “left”. Are you saying meshichism is the frummer or more charedi position?! This was random. It could have been left. I originally had a more specific title but removed the word meshichism from the title. In retrospect I should have kept it. I don’t believe that Yeshivah is moving to the right on this issue, I think it was an oversight and lack of thinking about the consequences of letting R’ Wolpe address the shul attendees. His attitude and agenda is well known and many people wwere curious how he would deliver his message to a ‘moderate’ audience which Melbourne is noted to be. We have a mixture of opinions across the spectrum in Melbourne, and not everyone has a fixed stance on this meshicist issue. I believe there are a number of ‘swinging voters.’ However, the majority, and I believe it is a majority, of mispalelim in Yeshivah are not hard line meshicists, or even soft line for that matter, they are just a ‘little’ shy of coming out for fear of offending the percieved partyline. The Rebbe, OBM, made it the central theme of his nesius to bring Moshiach, at no time did he intend or even make it personal or a personality issue, that was irrelevant to his goal, and he never waivered in that. Characters like R’ Wolpe clouded the issue with their own agenda and following the Rebbe’s stroke details and responses became even cloudier. Chabad earned kudos and respect from the rest of the world (non-Jewish included) because of their unconditional love and help of another Jew. This was the Rebbe’s thrust and anything that brought Chabad/Lubavitch into disrepute was anathema him. This was the reason given for his refusal to permit the publishing of R’ Wolpe’s book. The subsequent permission must be looked at in a different light owing to a change in the times and prevailing views. However, now, after ‘Gimmel Tammuz’ the Rebbe is no longer physically with us I believe the issue of whether the Rebbe is Moshiach is irrelevant. And therefore the activities of R’ Wolpe and others of his ilk are counterproductive to Chabad and the legacy the Rebbe left us. We want Moshiach NOW! indeed we need Moshiach NOW! and therefore WE need to everything in our power to bring him, whoever he may be, that means through any and every act of goodness and kindness. Anything else will only delay his arrival and acts and activities which create machlokes and push others away fall into this category. based on your analysis, how do you explain the shule allowing R mattis kantor to speak? Good point. I fact I understand there was regret that the topic was raised and this MAY have been a reason why Rabbi Rapoport was NOT permitted to speak on that topic. It only makes the question more pertinent: so why was Rabbi Wolpe deemed LESS controversial? I think this whole matter needs to be set in some context. The context starts with the video of a good old fashioned Aussie Picnic, by people who see themsleves as staunch Chabbadniks on Asoro Beteves . While that conduct was very roundly condemed by the religious leadership of the Yesivah no” soul searching” was carried out by those who wear their messianism on their sleeves. The picnicers did not grow up in a vacuum. They were taught, tutored and mentored by some of the religious leaders of the Yeshivah Community. Nobody has, as far as I know, come out and said that may be its time to reassess the way the way that the messianists have promoted this most fundemantal of jewish blief. They have not come out and said that perhaps the message should be spread in a differnt way. I don’t think anyone has said “asheimim unachnu”. As a result of this, a number of individuals felt that a way of showing that the hertofore means of spreading the word was wrong would be by the Yeshivah taking the very bold and courageous step of remvong the sign. They set about organzing a petiton to remove the sign. The religious leadership gave its response and the reasons for not remving the sign. But it went further. Two educators at the institutions were given a platform in the shule to expound their moshiachist views. The views of the non meshiachists did not get an airing. An attempt to redress this was made by inviting Mattis Kantor to speak. This turned out to be a disaster and was totally counterproducitve to the non moshiachist views. I am sure that had Rabbi Rapoport been allowed to speak on the topic ( he did address the shue on an other topic) he would have been able to present his position in a reasoned and moderate manner. Once the decsion was made that an address by Rabbi Rapoport would be controversial that point of view should have been applied to all future addresses in the Shule. The fact that there has been an inconsistnecy does point very storgly to the conclusion that the hitherto somewhat latent messianistic views of many in the religious and lay leadership of the institutons wil no be more open and explicit. It has been suggested that I need to obtain a Psak Din that allows me to post a blog item such as the one that I did. I am not aware of a single line that is not only well known, but widely held by Yereim and Shleimim. Anyone knows the Toeles of this post, and if you don’t I’ll spell it out: to highlight a shift in meshichism since the passing of Rabbi Groner z’l which is causing EXTREME PIRUD in Chabad. I suggest that people not attempt to shoot sincere messengers. Readers should also not occupy themselves wondering who suggested the above. I have spent a long time thinking about and writing about this topic. There are certain things that perplex me. 1.Why are many ofthe non-Mesh so afraid to voice their opinion? 2.The Mesh argue that the reason they believe Yechi chanting is sanctioned by the Rebbe is because the Rebbe, after the stroke, encouraged the singing of Yechi. They say this erases or nullifies all the times previously when he verbally discouraged it because they claim that times changed and in essence the Rebbe ‘changed’ his mind. How does this make sense at all? Firstly, I was there at the time and since the Chassidim sung only Yechi there is no way of knowing if the Rebbe was encouraging that particular niggun or the singing in general because he could not speak. Secondly, the Rebbe who was a giant genius would not simply and did not ever simply change his mind on a profound a subject as Moshiach. And since he could not speak and tell us his deep and profound thoughts on this subject, who are we to assume what those thoughts were? Who are we to assume that the Rebbe’s encouragement of a particular niggun was a directive for us to spread the word that he is Moshiach and to chant Yechi ad nauseum? Who are we to discount the Rebbe’s previous words without his permission or guidance? We can only stick to what we know and barely understand about what the Rebbe said, and we can only adhere to the clear directives he gave us without our own elaboratons. These Chassidim who are so firmly certain and sure that they understand the Rebbe’s kavanot are being quite audacious. 3. The very same people who claim to be 100% certain that the Rebbe’s views on Moshiach changed even without him saying so, also believe very strongly that the words of the Rebbe’s Igros, some of them written many years ago, are unchanging and still apply today. So these very same individuals will open the Igros and claim the Rebbe is giving them the same exact message that the Rebbe intended to the person the Rebbe wrote the letter to so many years ago. But wait a second, how do they know that the Rebbe didn’t change his mind? How do they know their interpretation is correct or not? These are just a few of the multitude of inconsistencies of the Mesh. philosophy. There are a myriad of other examples one could give highlighting that this entire Mesh. is questionable. It is really not difficult to debunk them which is the reason they do not engage in normal debate but rather, shut down discussion by accusing their detractors of having little faith, insulting them, or as the commenter wrote above, of being in the clutches of the yetzer hora. There is a pattern with all this and it is the lack of using one’s mind over one’s heart. There is also a use of the Rebbe’s words to suit one’s own purposes. This is not Chassidus. If you went to a large mainstream shule, in say Israel, and there were large signs in the shule saying that ‘BH our esteemed Rabbi/Rebbe has finally revealed himself as Moshiach’ and all the mispallelim agreed with the sign, would you go back there the next day to doven? If all the Mispallelim agreed, and indeed if I was in Israel, I’d likely be elsewhere. כנראה עושה עצמו אינו מבין מה שעניתי מאז, שאפשר להזיק כמה רח”ל לחב”ד ולהפצת המעיינות על-ידי כתיבה בעניין כו’ – שכוונתי היתה בעיקר אליו, וד”ל. והנני מזהירו שיפסיק לד בר או לכתוב ועאכו”כ להפיץ ועאכו”כ להדפיס בעניני משיח – הן בשמו והן בשם אחר על-ידי שליח וכיו”ב – או באיזה קובץ שיהי’ ובאיזה סגנון ואופן שיהי’. ואם ח”ו יעשה משהו בזה, ידע ברור שזהו מלחמה נגדי בפרט ובכלל. פשוט שבכל המכ’ ודיבורי בכהנ”ל לא הי’ בזה כלל וכלל משהו דהיפך ה ברכה ח”ו וח”ו ואין גם עתה ח”ו וח”ו. ב) שבד בר “שמתפרסם” ובפרט בדבר שבדפוס – נוגע איך מפרשו הקורא ולא המחבר . ג) וראו בפועל שע”י פעולותיו ומעשיו) – הלהיב מחלוקת וכו’ ומאות (ויותר) מבנ”י פסקו מללמוד דא”ח, נלחמים בהבעש”ט ותורתו בפועל וכו’ וכו’. ד) ביניהם כאלו שעד שהתחיל הנ”ל – התעסקו בהפצת המעיינות. ה) הם מצפים לכל רמז שהוא – שיוכלו לנצלו להגדיל המדורה וכו’. ו) בהגליונות שצירף – א”צ לחפש רמזים – כי כלום חדורים רעיונות הנ”ל, ובמילא עלילות המשך תוצאות הנ”ל מלחמה נוספת בהפצה, עוד כו”כ יפסיקו לימוד דא”ח היל”ת (1). כהנ”ל פשוט – ולפלא גדול שמנסה להסבירני ההיפך (2). כתבי לא הי’ מפני חשש אולי כו’, כ”א מיוסד על המפורסם שאלפים ויותר הפסיקו לימוד דא”ח ונלחמים בתורת הבעש”ט וכו’ – ע”י הדיבור ופרסום הנ”ל לחוד. לשאלת “תם”: היתכן שלא לפרסם הלכה (לפי השערתי, כשמד בר עם גביר פ’ בארצה”ב אינו מודיעו שהמדליק גפרורית בש”ק מחויב סקילה, וכשיהי’ סנהדרין שהוא מקוה ע”ז יהי’ הוא בתוך העם שיסקלו אותו ר”ל – כדין מפורש בתוה”ק, אפילו באם יבקרו בערש”ק אחר חצות) ודאי יענני על שאלתי בחצע”ג ואז בל”נ אענהו. כוונת הד ברים – לאלו שכתוצאה מדיבורים שלהם, עניני דפוס שהדפיסו. או ניגונים וכו’ גרמו לרחק עשרות יהודים מתורת הבעש”ט, לימוד החסידות והנהגה בדרכי החסידות. ולא עוד אלא אפילו יהודים שכ בר התחילו ללמוד חסידות – הפסיקו ללמוד, כתוצאה מפעולותיהם של אלו ! לא רק שפעולות אלו אינם מביאות לקירוב רחוקים, אלא אדרבה, עי”ז מרחקים את אלו שכ בר התחילו להתקרב! ולכן, להוי ידוע שכל מי שממשיך בפעולות אלו – הרי הוא מנגד ולוחם נגד חסידות חב”ד, נגד נשיא דורנו, הבעש”ט, עד מלכא משיחא… שרוצה וחפץ לבוא, אלא שממתין עד שיוסיפו בהפצת המעיינות חוצה, ואילו הוא – מרחק יהודים מתורת החסידות, רחמנא ליצלן! ויה”ר שלא יצטרכו לחזור על התראה זו, ומכאן ולהבא – לא תהי’ פירצה בחומותינו, אצל כאו”א שבשם “חסיד חב”ד” יקרא, הן בד’ אמות אלו, והן בכל מקום שבעולם, שהרי הקב”ה הוא בעה”ב בכל העולם כולו, ורצונו של משיח צדקנו, הבעש”ט ונשיא דורנו – שיפיצו את המעיינות חוצה, בכל העולם כולו. ובודאי לא ישאר רושם כלל מכל זה, כי אם תיקון הד בר – ע”י ההשתדלות ביתר שאת וביתר עוז בכל הפעולות דהפצת המעינות חוצה. Are you being mischievous or like another prolific (email) writer, don’t let the truth get in the way of a good story. Only a modicum of research was needed to discover that Rabbi Rappaport was not censored or discouraged from talking on any specific topic and Rabbi Wolpo was in fact specifically instructed to only say exact quotes and facts no personal opinions. Also you (and EA) were told of this before you wrote this post, but accepting that would have taken away your moment of self righteous indignation. Rather than be מוציא שם רע I would have thought that you could have emailed me (I think you call this a “modicum of research”) and you would have been advised by me that I certainly did pass my article through Rabonim in the know on this issue. I was not corrected in anyway. You have also publicly lied when claiming I was “told” of this before I posted. I let your comment through in the name of free speech because I don’t care too much about your false allegations, however, in the future, if you spout lies, you will not be published. Emmanuel’s suggestion for both parties to put up with the sign and get along is a bit simplistic. It is not like Labour vs Liberal or Sefard vs Ashkenaz, it is more like smoking vs non-smoking, where one side impacts on the other and are non-compatable. Yes indeed, it is time for Moshiach. זה ממשיח לזעזע אותי … it shocks me to my core. I avoid looking at it, for this reason. That being said, I have plenty of time for חבד and their contribution to the Jewish world which extends well beyond the fact that I went to School there. I find it equally hard to simply ‘cast them off’ out of my life because of this “…” … I can’t put it diplomatically, so I’ll refrain. I’m probably most in tune with Rav Aharon Soloveitchik’s later view on this. I’m not apathetic about it. I don’t speak for Emmanuel, but I suspect he may feel this is one that he can’t win, and תפסת מרובה לא תפסת … don’t bite off more than you can chew. My information, which was NOT denied, was that he was both spoken to and marginalised. At any rate, I take it that you, Helix, believe, that Rabbi Rapoport would have been invited to speak (possibly about Mashiach, as was apparently the case with Rabbi Wolp) to the main shule? Enjoy Yom Ha’atzmaut and let’s all at least say an extra Kapitel Tehillim of thanks for the miracles that Hashem wrought as we traverse the path to Geula? As an outsider, I sense that the controversy within Chabad that is discussed here is mainly on the level of tactics (“what’s safe or prudent to say in public?”) and not so much on the level of actual belief. That’s just history, I guess. Clearly on the issue of Meshichism they are diametrically opposed.